The SODELPA parliamentary caucus was split when it voted on whether to support the National Federation Party’s boycott of the State opening of Parliament on Monday. Seven rejected the boycott and six supported it. Ro Teimumu, who holds the casting vote, decided to go with the anti-boycott group. Those who opposed the boycott were: Salote Radrodro, Aseri Radrodro, Ratu Suliano Matanitobua, Viliame Gavoka, Ro Kiniviliame Kiliraki, Mikaele Leawere, Josefa Dulakiverata, Ro Teimumu Kepa. Those who supported the boycott were: Mosese Bulitavu, Niko Nawaikula, Semesa Karavaki, Anare Vadei, Ratu Isoa Tikoca and Ratu Sela Nanovo. Ro Teimumu has been hailed internally for avoiding a major crisis in the party. If she had supported the pro-boycott group, it would have resulted in a tie and split in the caucus right down to the middle. It would have set a precedent and it would be anybody’s guess what could happen. A likely internal party crisis would be a possibility. Prior to the caucus meeting, party leader Sitiveni Rabuka, had informed the party and caucus that he would prefer SODELPA MPs attend the ceremonial opening. But he left it to them to decide for themselves in their caucus. If the boycott lobbyists had won, it would have been a show of no confidence in Mr Rabuka. He should also thank Ro Teimumu, a strong ally of NFP leader Biman Prasad, for supporting the anti-boycott group. Can this be perceived as a change of heart in her position against Mr Rabuka? 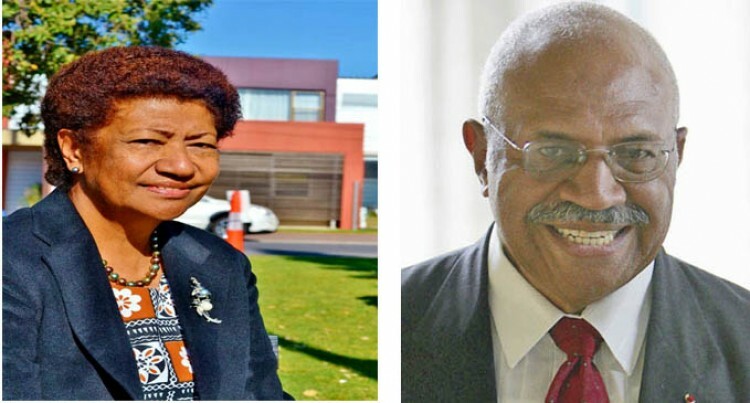 It was hot on the heels of her support for Mr Rabuka after he was arrested and later released at the weekend over a no-permit meeting to discuss the sugar industry. It is understood she left a traditional meeting in Rewa to give Mr Rabuka moral support. Mr Rabuka has been advocating attendance at all State functions. He was the only leader from the Opposition political parties who attended Constitution Day. On Monday night, Mr Rabuka and Ro Teimumu led a strong contingent of SODELPA MPs at a social function hosted by the President, Major-General Jioji Konrote at State House in Suva. There is growing feeling in SODELPA ranks now that boycotts are counter-productive and negate the positives the party is gaining. SODELPA general secretary Adi Litia Qionibaravi said there was no split in the Opposition. She said the NFP boycott of the Parliament session opening was their own decision. She said SODELPA MPs decided not to boycott. “Just like when the Indian PM came to Fiji, the NFP attended and SODELPA didn’t so the parties have their own ways of doing things,” she said. NFP MP Prem Singh said their decision to boycott was not a sign that there was a split within the Opposition. “We are different, SODELPA MPs are different from us, they have their own ways of doing things and that works the same for us,” Mr Singh said. Meanwhile, Mr Prasad said they would attend when Parliament resumes sitting on Monday. He said they would table issues that were brought up during their annual general meeting. He said one of the major issues they would be discussing was the sugar industry. Mr Prasad said they would also look at issues like education and the health sectors.